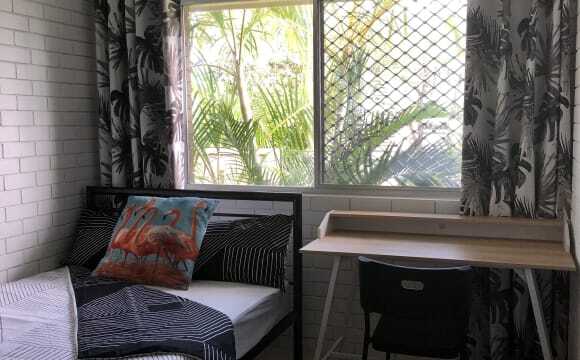 SHARE APARTMENT SCAPE SOUTH BANK Available from late May - Lease takeover $319 a week (includes all bills/unlimited internet) *normally $329* Lease end February 3rd 2020 Free daily breakfast and bus to UQ and IES ROOM: Spacious with double bed, built in cupboards, ensuite, study desk, TV, hidden storage, air-con and Netflix. Large kitchen/loungeroom with oven, stove, dishwasher, TV, individual fridge/freezer. BUILDING: Many communal scapes to meet students from around the world. Extra kitchen downstairs, BBQ, pingpong, foosball, pool, indoor cinema, any time access gym, washing facilities, soccer goals, basketball court, herb garden and outdoor terraces with city views. 24/7 front desk service, high level of security. FREE EVENTS like Italian dinner, free food in general, personal training, beach trips, group activities (once was yoga with baby goats) and parties. LOCATION: 1 min walk to Southbank train and bus stations, TAFE, Grey Street and Southbank parklands with a pool, events and river views. 5 min walk to Ferry Terminal, Griffith and Woolworths Supermarket. 15 min walk to museum, botanic gardens and QUT. 20 min walk to city! 10 min bus to UQ and Kelvin Grove. Roomies all very tidy and respectful. Love a good kitchen chat. Very quiet. Beautiful golf view, close to shopping mall, bus n train station. Beautiful nice n clean. Kids play round in 1 min walk. Exercise, walking n running n biking path. Outdoor pool table. It’s in a convenient location. Easy access to public transport. A lot of on campus activities and clubs available. Friendly roommates. Cheap considering everything that’s included. Tv. Great balcony view. Pool. The property is located in a cul-de-sac along the canal in Mermaid Waters. There is on-street parking, a pool and a great view on the outside. 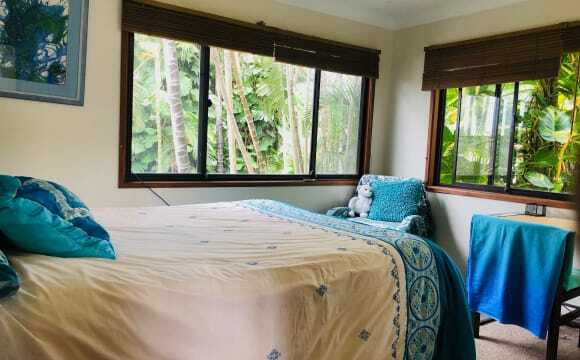 The room is fully furnished and includes a ceiling fan, large wadrobe and unlimted NBN internet. The bathroom and toilet which is shared with 1 other tenant is located just outside the door. The kitchen has plenty of space, all the basic utensils and cooking appliances. The landlord does 1 load of washing a week that is included in rent. Located 3 min drive from pacific fair, 10 minute drive from the tram/bond uni and 20 min drive from Griffith Uni. Bedroom for rent, available now for min of 1 month to 3 months, may be extended. Large swimming pool and social area in complex, quiet complex, centrally located. Public transport, cafes/restaurants, Coles and shops all walking distance from property. Room fully furnished - brand new King single bed, large drawers, bed side stool, brand new linen and mirrored wardrobe cupboard. Shared bathroom. Bills (electricity, water and Internet) included in rent. No pets. Less than 10kms from CBD very quiet and central. In a dead end street with Wanstead reserve, next to the Cooks river, which is 100 metres away. If you're into outdoor activities there is cycling tracks along the river where you can do fishing and canoeing . Social events always available every week, as updated by the admin office, so you get to meet fellow Macquarie Uni students. Kitchen fully equipped with toaster, fridge, microwave, and oven. Private bathroom with shower. All windows fitted with screen. Laundry room 3 minutes away, dryers available. 7 minute walk to convenience store, pharmacy, restaurants across the street at trafalgar square. 3 minute walk to the bus stop. 5-10 minute bus ride to Epping, Macquarie Uni station, Macquarie shopping centre. 5 minute walk to gym, pool, school. Lease ends 16 Dec 2019. Single bed rooms: $139/week for minimum 3 months stay. $159/week for minimum 1 month stay. Double bed rooms from: $159/week for minimum 3 months stay. $199/week for minimum 1 month stay. Double bed rooms with ensuite from: $199/week for minimum 3 months stay. $249/week for minimum 1 month stay. Fully furnished, include bed, mattress, table and chair. Full Brick Soundproof wall, Privacy. Include all Bills and WiFi. Share 8 bathrooms and a Kitchen. Long Term tenants are requried to pay 4 weeks Bond, Inspection by appointment Furnitures include Bed, Desk, Office Chair, Fridge. Rent Includes: Electricity, Furniture, Water, Gas, Internet WiFi access, Professional Cleaning of Common Areas and Water. This renovated property is walking distance to Coorparoo shopping centre and major bus stops along Old Cleveland Road. Modern facilities with stainless steel appliances and carpeted rooms. Fully furnished rooms with robes and desk and only 15 mins by bus to South Bank with regular services through the new Langlands Park Busy ways Station. The building has a large kitchen, double cook tops and combination lounge/dinning area. Full laundry facilities with 2 relaxation areas The first is near the kitchen with a huge communal television. The second has a quite sitting area to meet other residents. Behind the building is an outdoor courtyard and sitting area. 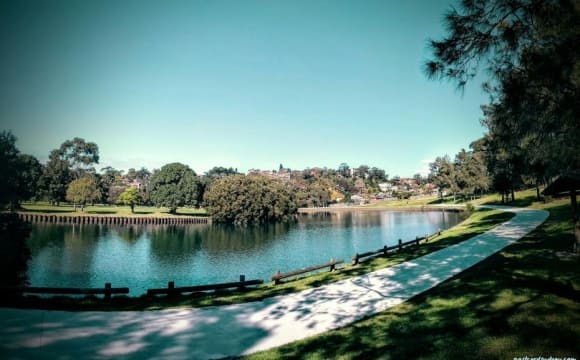 Fun Fact: a few minutes walk from a variety of restaurants and Coles supermarket. A safe and secured residential property in a convenient location with all transport within 5 minutes walking distance. The Cherrybrook Train Station which will be open in May or June is only a 2 minute walking distance from the property and two train stops to Macquarie University and 1 stop to Castle Towers (Castle Hill) for all ones shopping needs and entertainment. 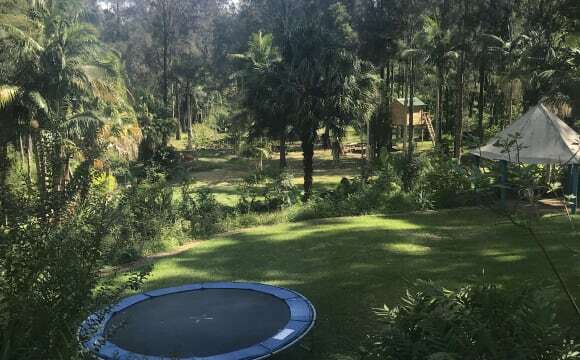 In addition, a 5 minute walk to the nearest bus stops; to the city (642X), to Pennant Hills (632) and to Parramatta (M30) The house itself is very quiet and peacefully located in a Balinese inspired estate. The property is secured with alarms and locks. Parking is available off street. The room is fully furnished with a queen size bed and a table provided. The bathroom is not attached but will be yours to use, for 95% throughout your stay. My unit is conveniently located near Indooroopilly Shopping Centre (Two (2) minute walking distance). - Public Transports include: Multiple buses to Brisbane City/UQ, trains from the Indooroopilly Station. - Nearby Points of Interest include: Indooroopilly Shopping Centre, Brisbane CBD, The University of Queensland (UQ), and St Peters Lutheran College. - Building Facilities include: BBQ area, swimming pool, and on-site building manager. My unit is fully furnished and your bedroom will include a single bed, a large wardrobe with full mirrors, and a desk for your study needs. The pool is awesome! Seperate entry and own downstairs with a huge room and built-in cupboard space and own bathroom. Room also has tv mounted on wall. Huge kitchen to share and spare storage space if needed. Fully furnished or option to bring your own bedroom furnishings. UNLIMITED NBN internet and bills included. Group of shops (Night owl, 4 takeaway food shops, bakery and bottle shop) directly across the road.